Making the trip to Geneva in a new white and black suit. 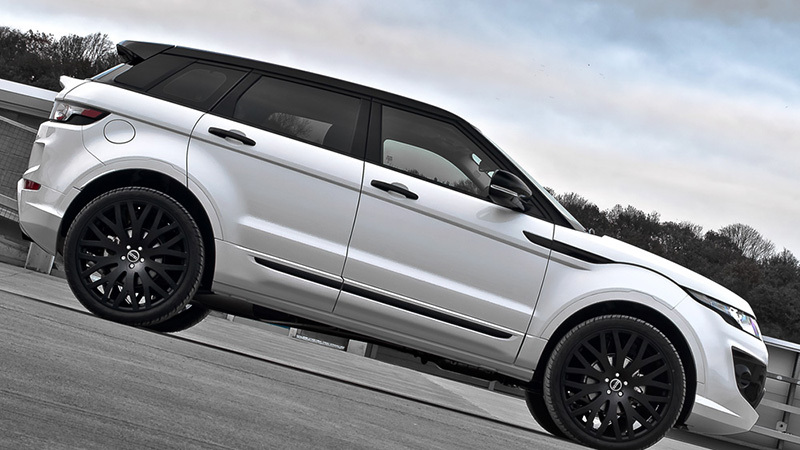 In Hall 6 stand 6338, the team at A Kahn Design will be showcasing the Defender Concept 17 Wide Body, the Kahn Porsche Cayenne, and the lovely new Fuji White Range Rover RS250 Evoque. 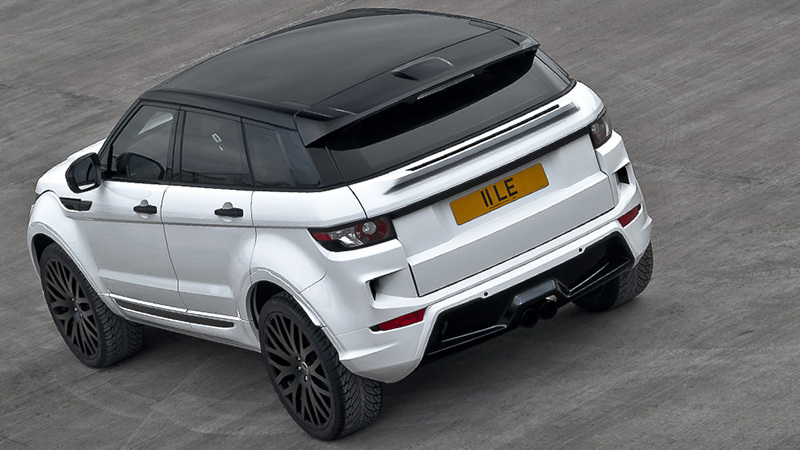 The new Evoque, just like the rest of the Kahn models, will try to steal the show in Geneva with their confident demeanor and custom-tailored style. 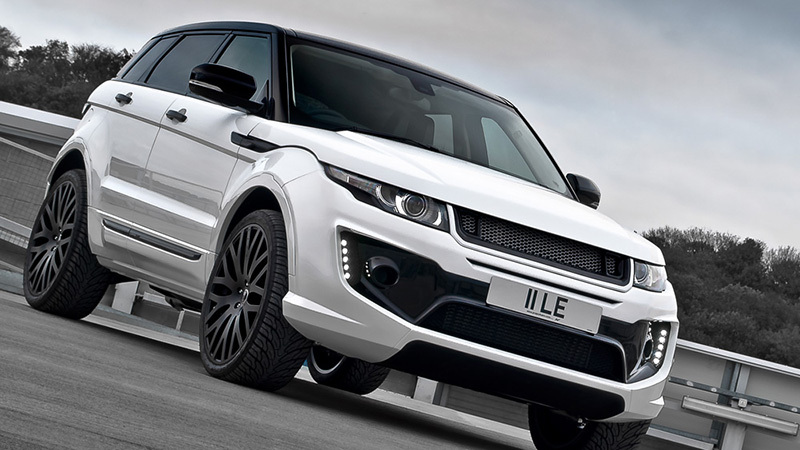 The new Fuji White Evoque RS250 is the perfect example of custom-tailored styling and outright confidence as it boldly wears its classy white tuxedo. 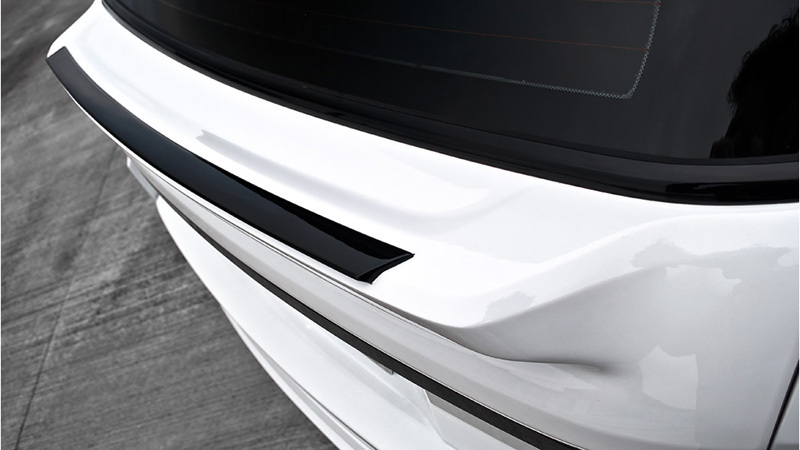 A new Fuji White exterior paint covers most of the RS250 Evoque while the pillars, roof, mirrors, and other accents were given a coat of contrasting black paint. The transformation begins at the front where a new front bumper replacement with integrated vents and 3D mesh inserts stares ahead with new LED daytime running lights and gloss black inner section, center section, and vents. 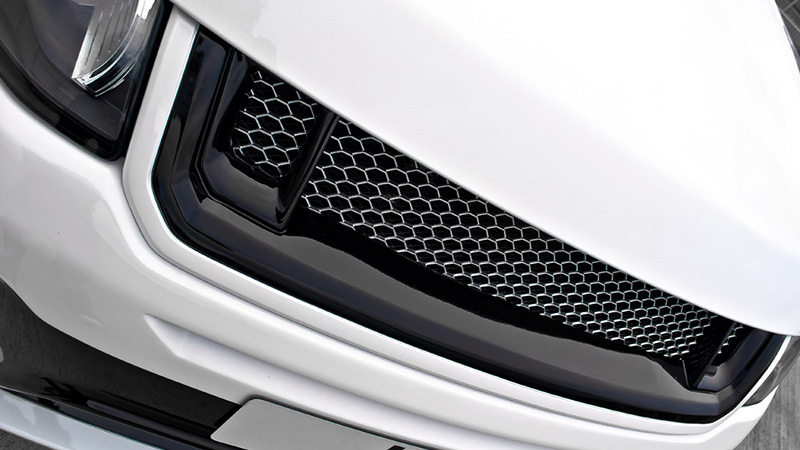 Gloss black is also worn by the headlight details, grille with 3D mesh, side vents, and side sill trim. 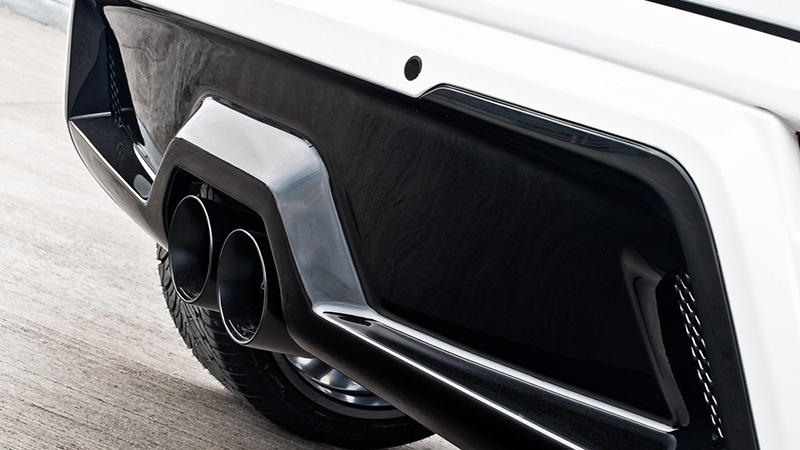 A new rear bumper replacement with integrated vents and dual center-mounted Kahn cross-hair exhausts in matte black lend the SUV a more powerful look. The final touches at the rear include a new lower bootlid spoiler and gloss black bootlid trim. 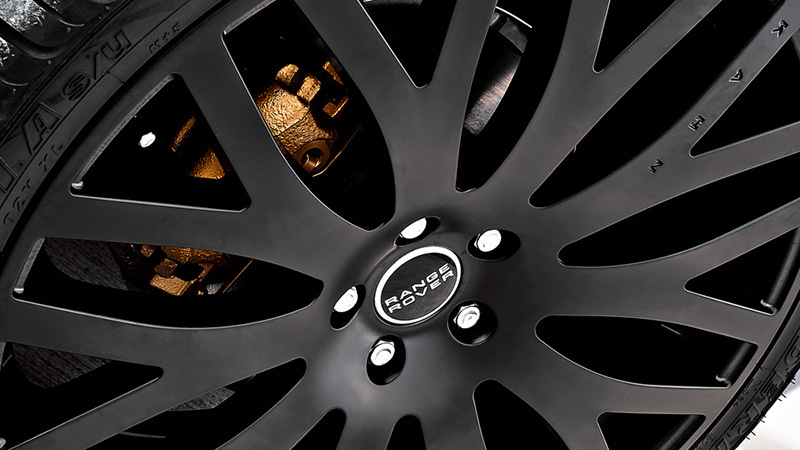 In keeping with the Fuji White and black theme, the RS250 Evoque was outfitted with new Kahn RS-XF wheels with a slick satin black finish and original center caps. Both axles were fitted with the RS-XF wheels in a large 9.0 x 22 size and paired up with 265/35/22 tires. Behind the slick black wheels are contrasting gold-painted calipers for that extra touch of style. Behind the privacy-tinted glass is a luxurious sea of black and red. 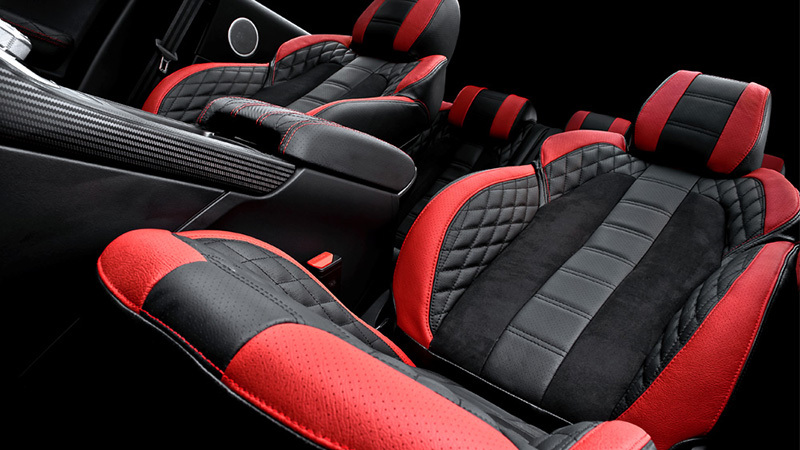 All of the seats were outfitted with a special mix of soft black leather and alcantara with red accents running along the trim of each seat. 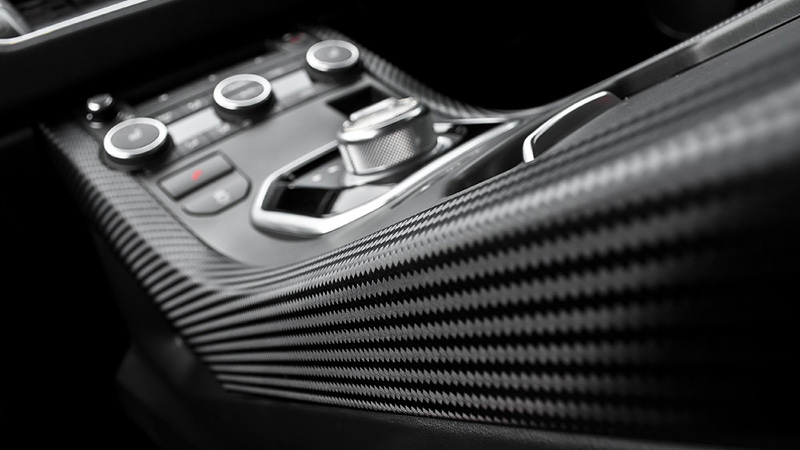 Between the two front seats is a diamond quilted leather center glove box with red stitching that meets the carbon fiber center console and diamond gear selector. 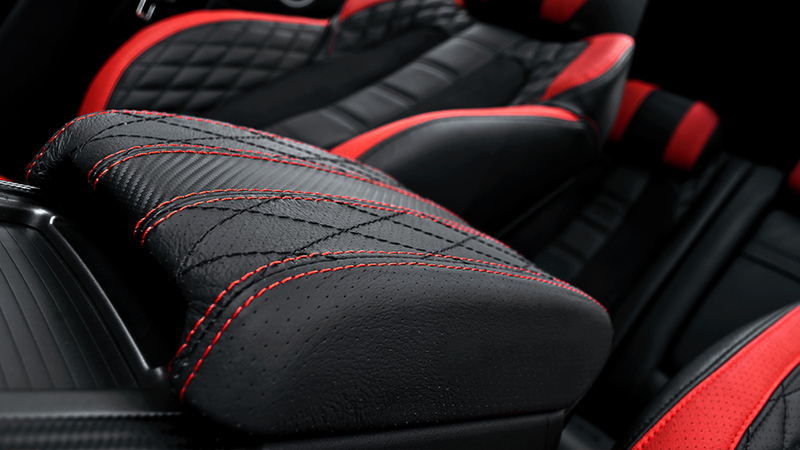 All of the door arm rests also wear the same comfortable diamond quilted leather design with contrasting red stitching. 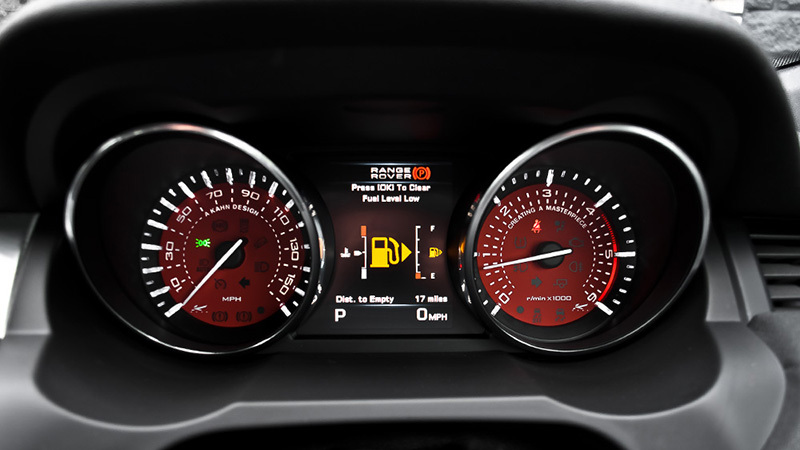 The driver benefits from speedometer and tachometer gauges in red as well as machined aluminum vented foot pedals. 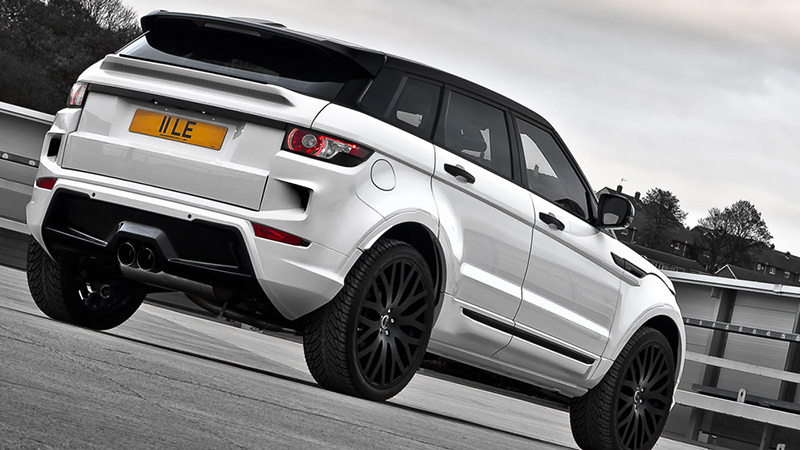 The Kahn Fuji White RS250 Evoque also sports heavy duty carpeted floor mats and greets passengers with stainless steel door entry sill plates for that custom-tailored touch of luxury. This particular Fuji White Range Rover RS250 Evoque will be on display at the Geneva Motor Show at Hall 6 stand 6338 and be available for £46,875.00. 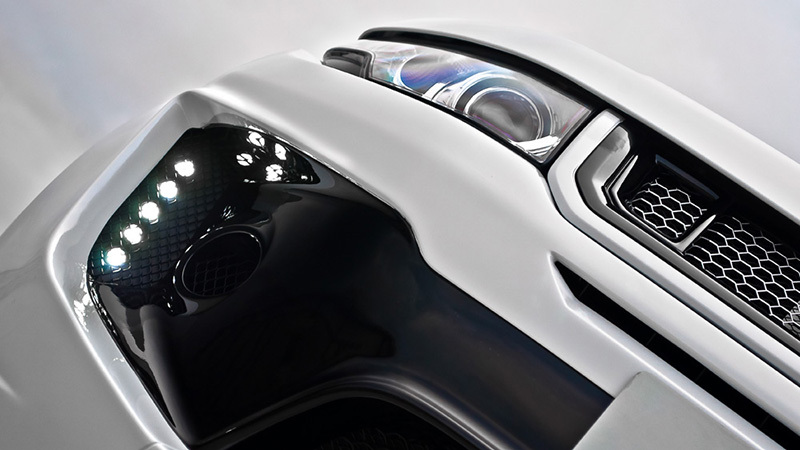 The Evoque will be showcased alongside the Defender Concept 17 and Kahn Porsche Cayenne models at the A Kahn Design stand when the doors open to the show on March 5th. 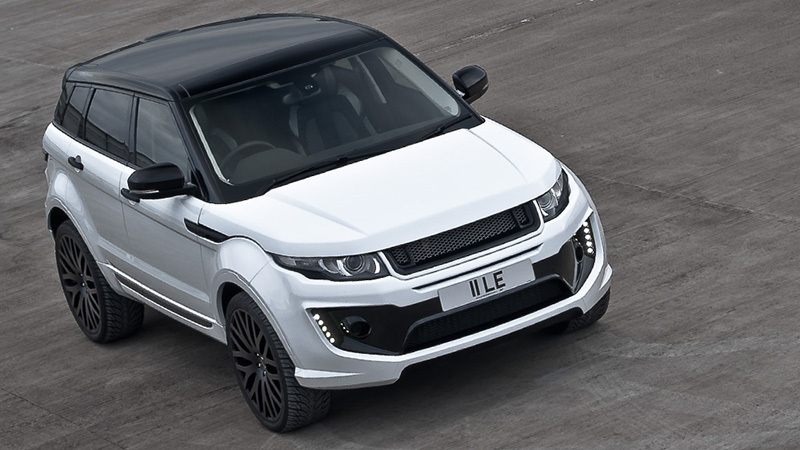 What do you think of the Fuji White and black style of the new Kahn RS250 Evoque? Leave a comment and let us know!